With sustainability in mind, designers from Designaffairs STUDIO have created the Swirl Board, a washer that does not require an electricity to keep working and have it submitted to IGreenSpot. 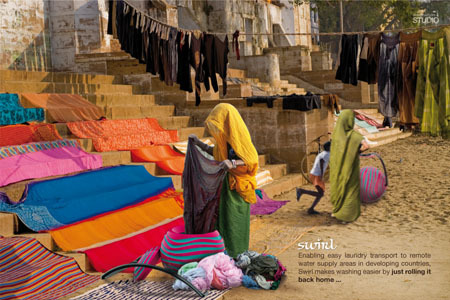 In developing countries, the simple act of doing the laundry is a lot of effort. The major problems are bad ergonomics (in washing and transporting), distant water supply areas and the burden to carry the heavy laundry to and from the water source. 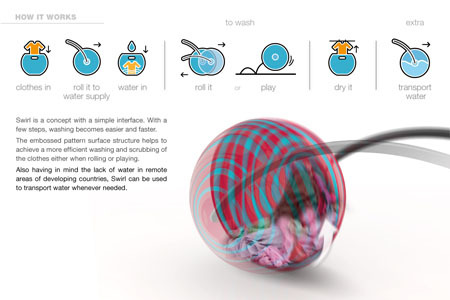 Swirl is a human focused design that simplifies washing in developing countries. 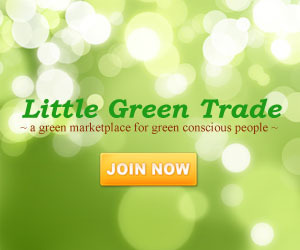 The overall design resembles a ball containing a swirled sphere shaped basket and lid, connected to a steel tube handle. 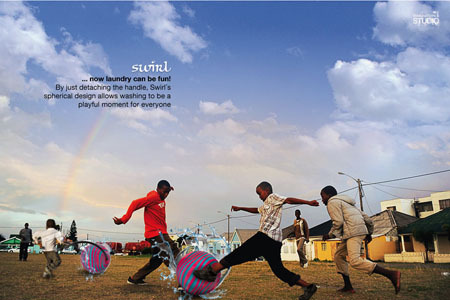 Washing is accomplished through the rotation of the “washing ball” – using long distance travelling to and from water supply to wash the clothes. 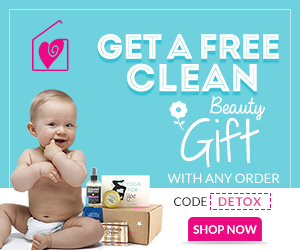 The user can also wash by just rolling it back and forth in slow rotation cycles. At home, after the basket is filled with clothes, the lid should be screwed and the handle locked in. Transportation can easily be done by pulling or pushing the handle. 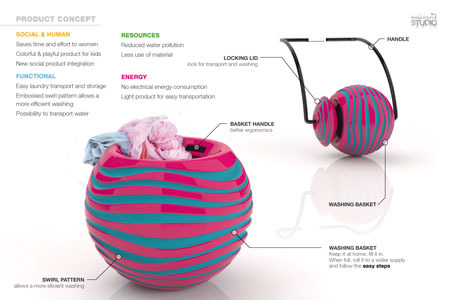 At the water source, the basket should be filled with water and the product is ready to wash.
Swirl aims to enhance a social cultural relationship between women and children, making washing a fun and easy experience. The spherical design allows it to become a playful object, which stimulates the user´s imagination on how to play with it. 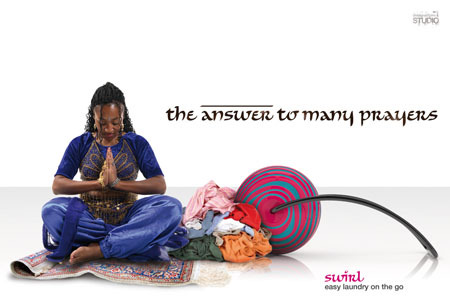 With Swirl, doing the laundry becomes easier and fun with just a few steps.